So to match with this sour tasting story I thought why not cooking some Escabeche for lunch. Escabeche comes from the Spanish or Persian term that means something “acidic’, evolved away from the typically cold dish in Spain, often marinated overnight in the sour sauce. 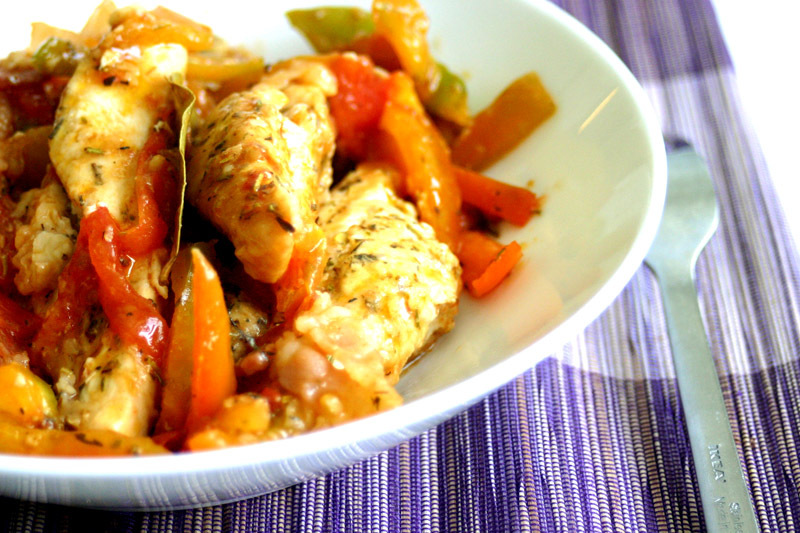 While in the Philippines, the term escabeche refers more often to fried fish that is slathered with this sweet and sour style sauce. As much I am not a fish aficionado, I always try to explore around the corner and use my culinary curiosity in cooking my dad’s recipe for Dalagang Bukid or Mountain Maiden fish Escabeche. Pat dry the chicken fillet, add some salt and pepper and toss it with two tablespoons of flour. Warm a sauce pan, add some cooking oil and fry the chicken. Set them aside. On the same pan, remove half of the remaining oil, then fry the garlic, ginger and shallots. Cook for few minutes until they are wilted. Add all the remaining vegetables and continue stirring pour a quarter of a glass of water and add the bay leaves. Cook gently the vegetables for about ten minutes until they are soft and tender. Add some soy sauce, vinegar, salt and pepper. Dissolve the cornstarch with a tablespoon of water. Rectify the taste if necessary. Turn off the heat then put the chicken. Serve immediately. This sounds awesome. I love acidic food – give me lots of vinegar, onions, and tomatoes, and I’m there! I could scarf down a big plate of this, no problem. Haven’t tried this one, only with fish because I love fish ! Will definitely try this during lazy days !